I have to tell you that I think you've done a wonderful job here. It was very real for me having experienced VT first hand myself. LOL!! Seriously though, I think it important for people to read real stories from real people and there was a wonderful range in terms of not only the stories, but the "faces" of the tellers. I also loved the information provided regarding the cultural and recreational events and venues. All in all I loved the presentation and the layout. 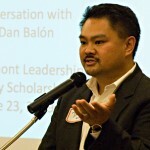 Dr. Dan Balón, who passed away January 2013, inspired the creation of iamavermonter.org in 2009. Dr. Balón, Director of Diversity & Equality at the Burlington School District, never failed to keep the city of Burlington on its toes as he combatted racism by promoting the celebration of diversity within the community. 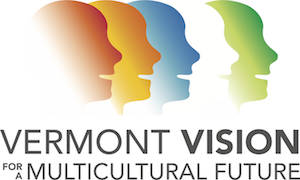 A well-known and loved advocate of racial diversity, Dr. Balón needed recruiting tools and strategies to bring more people of color to live and work in the Champlain Valley region of Vermont. The testimonials, gathered by St. Michael’s college undergraduate students studying journalism, serve as inspirational stories to those seeking a home in Vermont for job opportunities or otherwise. They will continue Dr. Balón’s work by baring personal journeys. 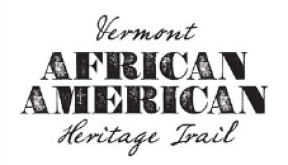 It is in his honor that iamavermonter.org exists as a site in which people of color can tell their story and share their thoughts on living in Vermont. Thanks to a generous gift provided by Key Bank, the inaugural website received the funding to achieve that. Under the auspices of Vermont Partnership for Fairness & Diversity iamavermonter.org is expanding to Southeast Vermont, Central Vermont, Southwest Vermont, and the Northeast Kingdom. We are grateful for the assistance of Ron Redmond, Executive Director of Church Street Marketplace as well as Cathryn Griffith who photographed Vermonters for the Southeast Vermont section.